Whether planting a large vegetable garden or preparing soil for a small flower border, the right soil-preparation tools make the task easier and faster. Motorized tools and hand tools can both turn the soil, break clumps, and level the soil. Keep your tools sharp and clean them after each use to extend their lives. Use a self-propelled, gas-powered, garden rototiller for large gardens to turn soil and organic matter, such as compost or leaf mold, quickly and easily. You can rent a rototiller instead of purchasing one, if you prefer. 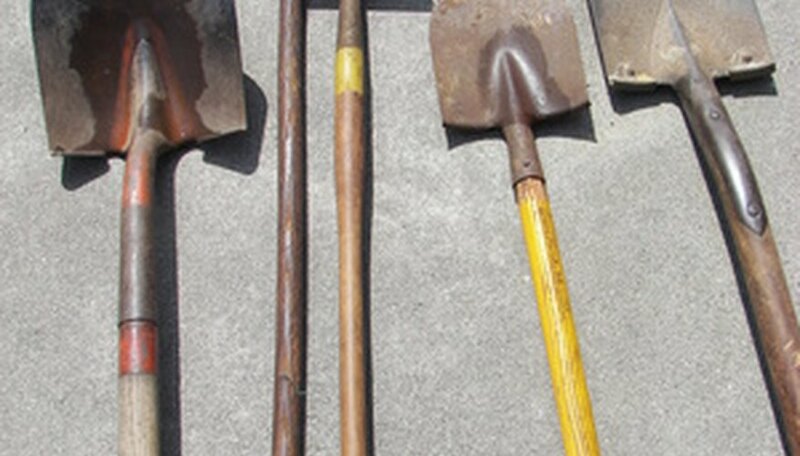 Long-handled tools such as hoes, rakes and shovels can be used to prepare the soil instead of a garden tiller, especially in smaller gardens. A spade has a long, narrow digging surface while a shovel has a more rounded point. The design includes a ledge on which the gardener can push their foot to force the tool into the soil. A rake with many metal tines or a cultivator with only three metal tines helps to remove stones and break clumps as it levels the soil. A hoe, which can double for a weeder after planting, can create furrows (or grooves) for planting seeds. You can use a trowel (hand spade) or a hand cultivator in small gardens. In any size garden, use hand pruners or loppers to cut through roots coming from nearby trees or shrubs. A wheeled cart can carry tools, organic matter and other soil additives and plants to the garden.